The Canadian landscape will be soon dotted by yet another Android phone. Along with the new Xoom, Telus has also picked up the Motorola Defy. As you may know, this is a MotoBlur skinned Android device so it may not be for everyone, but this is a very tough smartphone. Mortorola touts this device as being water proof, dust proof and scratch proof, while also featuring gorilla glass. Honestly this is one tough device. Is The Motorola Defy For You? If you are one who likes shiny gadgets but is constantly in situations where there is a high possibility of damage coming to your phone, then this is the phone for you. Although it does not contain the most advanced hardware, it does have the standard features of a higher end smartphone. It comes with a 3.7" display, wi-fi hotspot capabilities, a possible 32 GB of memory by way of microSd, and a 5 megapixel camera. 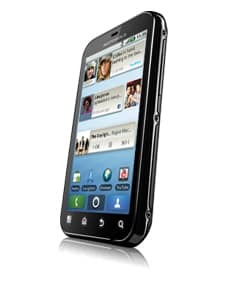 Check out the video below for a quick look at the Motorola Defy.